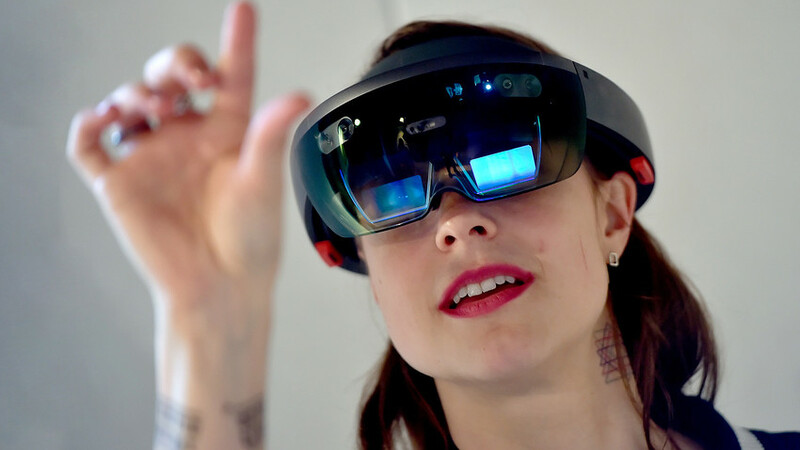 The creation of Hologroup, a Moscow-based augmented reality (AR) startup, was inspired by the HoloLens promo video. The Russian company has completed a few projects in the U.S. and Europe, and plans to expand to international markets by the end of 2018. In early 2016 serial entrepreneur Alex Yakubov was browsing YouTube, looking for his "new big thing." He came across a video promoting Microsoft HoloLens, the mixed reality smartglasses, and realized that AR technology will radically transform our lives, just like smartphones did. So, Yakubov decided to create a mixed reality company. Hologroup’s clients now include one of the largest European retail chains, Auchan, global automotive manufacturer, Hyundai, and Russian mining corporations. Yakubov was excited about the potential of AR in education. However, the cost of $3,000 for a pair of HoloLens smartglasses was unaffordable for the majority of Russian schools. The startup tried to raise funds for its educational project on Indiegogo, but only managed to raise $839 from 63 backers. An attempt to integrate mixed reality in Russia’s healthcare system also failed. Yakobov didn't find partners or clients willing to test AR. Virtual presentations, tours and an app for visualization of construction sites, however, were in demand. Later, the startup managed to raise more than $437,000 in investment from the Russian Internet Initiative Development Fund (IIDF). According to Yakubov, the fund managers understand the mixed reality market and that there are no companies with ideal products ready for the mass market. In 2017, Auchan became a major client of Hologroup and the first retailer in Russia to apply AR to the construction and design of its supermarkets. Using HoloLens, people were able to see, thanks to a 3D hologram, a detailed model of the future store. After completing a few AR projects for major companies, Yakubov started thinking of a solution that would allow people with no programming skills to create their own mixed reality. Hologroup developed apps such as Mr. Builder, Mr. Guide, and Mr. Presenter. The programs allow users to add any content, such as photos or butterflies, and manage their 3D objects. Yakubov believes that in 5-7 years AR will disrupt the market when HoloLens smartglasses are more affordable. He is hoping that when HoloLens’ price drops to $1,000 and the smartglasses get extended functionality, then they will be able to replace all the screens currently around us. His company’s loss is 20-30 percent exceeding revenue, but Hologroup is investing heavily in new products and technology. Yakubov is now planning his "next big move” on international markets. This year he is targeting Europe, where Hologroup already has clients and partners, and then North America. "We've already done a few projects in the U.S., although it was very difficult to do at a distance because of the 11-hour time difference: some employees had to work 24/7," Yakubov told Russia Beyond. He didn't name his American clients because of a Non-Disclosure Agreement. Yakubov said he is now planning to open a representative office in the U.S., and a few hundred people are already using Hologroup's products in the U.S.
"Our Mr. Guide is one of the first platforms allowing users to prepare holographic content for HoloLens glasses," Yakubov said. "This allows to reduce resources and time for creating such content. Without our solution it's necessary to involve developers, but with Mr. Guide it can be done just like a presentation in PowerPoint."